Personalized Alphabet Baby Boy Blanket. 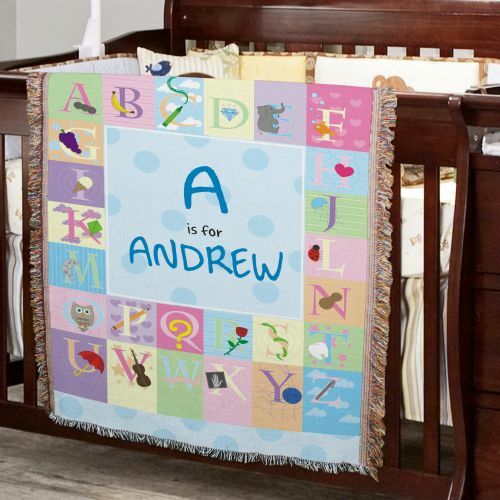 Alphabet Baby Boy Tapestry Throw BlanketIt's this so cute, imagine the blanket on the baby bed. You have to have this blanket for the baby and the blanket will look nice in the baby room decoration. The blanket celebrate the arrival of your New Baby with this lovable Baby Blanket which will becomes a cherished Keepsake for years to come.